Your initial appointment with us will include a review of your history, a non-invasive and painless ear examination, diagnostic assessment of your hearing and a discussion of your results and any hearing solutions that may be required. A comprehensive written report will be sent to you and/or your nominated General Practitioner (GP). If you are experiencing any of the common symptoms of hearing loss, or your hearing questionnaire indicates that you may have hearing difficulty, you should book an appointment with Mackay Hearing. There are a few ways you can prepare for your hearing appointment. So that we can tailor your personal hearing solution, your appointment will begin with us gathering a detailed picture of your lifestyle, hearing needs and motivation to improve your quality of life. To do this we will go over your history, how your hearing is impacting your everyday life, and review any results from your pre-consultation preparation, such as your hearing questionnaire. It is often helpful to bring a companion to this appointment to participate in this discussion. You will then have your hearing tested through a few easy and non-invasive and painless diagnostic assessments that evaluate your hearing sensitivity and response to speech (both in noise and in quiet). Before testing your hearing, your ears will be checked for wax and if needed, your Mackay Hearing Audiologist can gently remove it. Your hearing test will take place in a soundproof booth, with you wearing headphones and listening to a range of sounds. We will play you sounds starting from a bass tone and working up to treble, asking you to push a button when you hear each sound. This test is called audiometry and can be presented to young children as a modified listening game, known as play audiometry. Using this test, your/your child’s hearing range will be plotted out onto a graph and your Mackay Hearing Audiologist will determine if you/your child have a hearing loss. Speech Audiometry is completed to determine your/your child’s ability to discriminate and understand speech. Different word lists are presented at varying loudness levels in different listening conditions (quiet/background noise), while wearing headphones. Young children can complete this test by pointing to pictures. Acoustic Immittance testing is a quick and painless measure of the function of the middle ear system and can detect signs of middle ear dysfunction (e.g. glue ear). Otoacoustic emissions testing is a very quick test of the cochlea or inner ear function which does not require any response from you/your child. Your Mackay Hearing Audiologist will then explain the results to you and discuss possible hearing solutions (including candidacy for hearing devices) and how your/your child’s condition will affect you/your child. We will advise if referral for medical management is necessary. At Mackay Hearing we take the time to make sure you understand your test results and treatment options, that your expectations are realistic and clear and, if necessary, clearly and thouroughly discuss any more specific hearing issues you may have, such as tinnitus or hyperacusis. Your Mackay Hearing Audiologist will discuss the range of hearing aid products available and collaborate with you on the most suitable device in terms of how much amplification you need, your lifestyle and personal preferences regarding cosmetic appeal and convenience. There may be a few options of hearings aids that suit you, and together we can decide what is best. Your future requirements will also be taken into consideration. In some cases we can fit you with hearing aids on the same day as your appointment for you to begin your 14 day trial. Once fitted with your hearing aid solution, we will provide you with advice for maintaining your devices. Your hearing aids are designed to be reliable, durable and easy to use, and you will be given tips for preventing problems and getting the best out of them. At Mackay Hearing, we encourage you to attend a follow-up appointment after your hearing aid trial or fitting to see how the device/s are working for you. You will also be encouraged to visit us for annual review appointments to ensure your hearing aids are programmed correctly in light of any changes in your hearing. 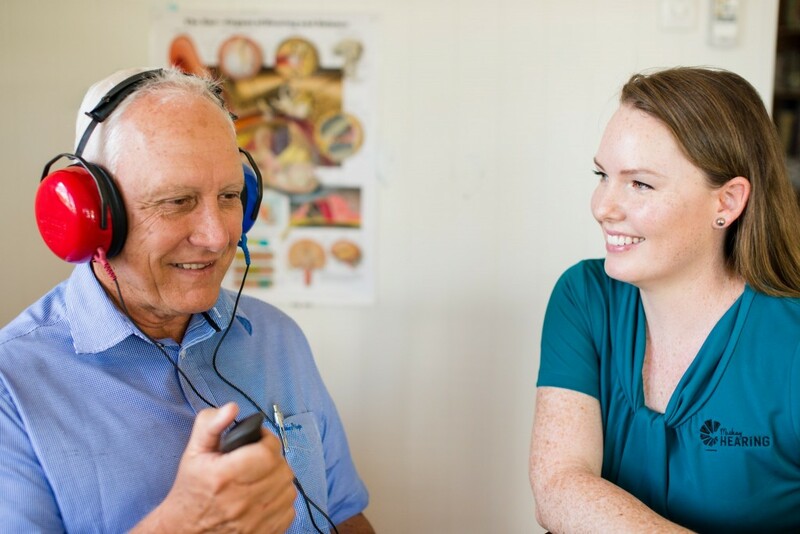 If you would like any more information on the treatment process with Mackay Hearing or how to prepare for your hearing appointment, please contact our friendly local staff directly on (07) 4952 4649 or email us at listening@mackayhearing.com.au.